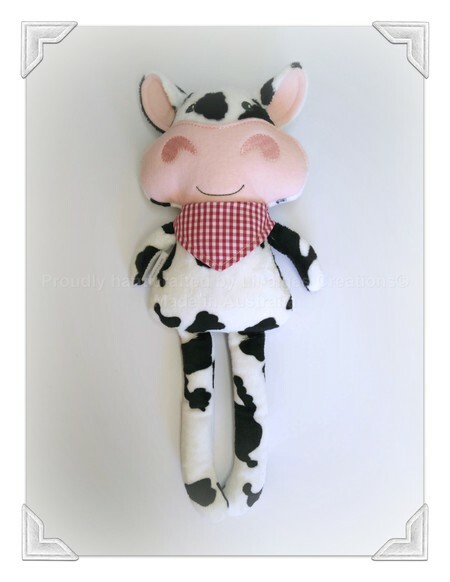 How cute does this gorgeous handcrafted dairy cow look - the perfect gift for any friesian farm loving person. Made from Minky and 100% merino wool and it comes with a gorgeous red bandana. This awesome little cow measures approx. 46cm (18 inches). 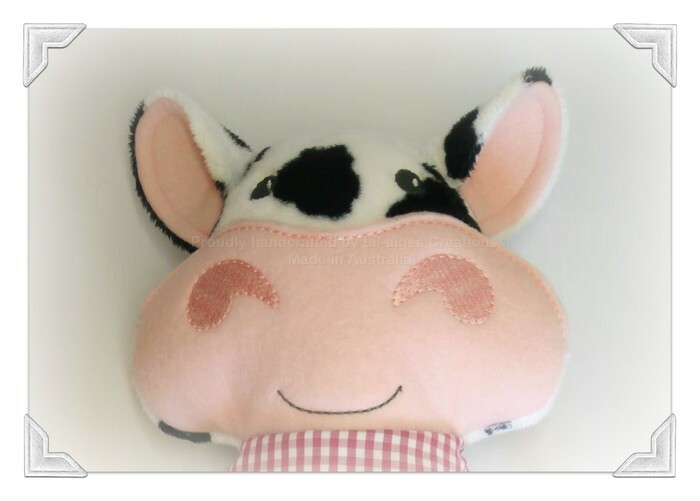 Pricing options available - cow plush only or cow plush with a bandana. The bandana has a snap closure. 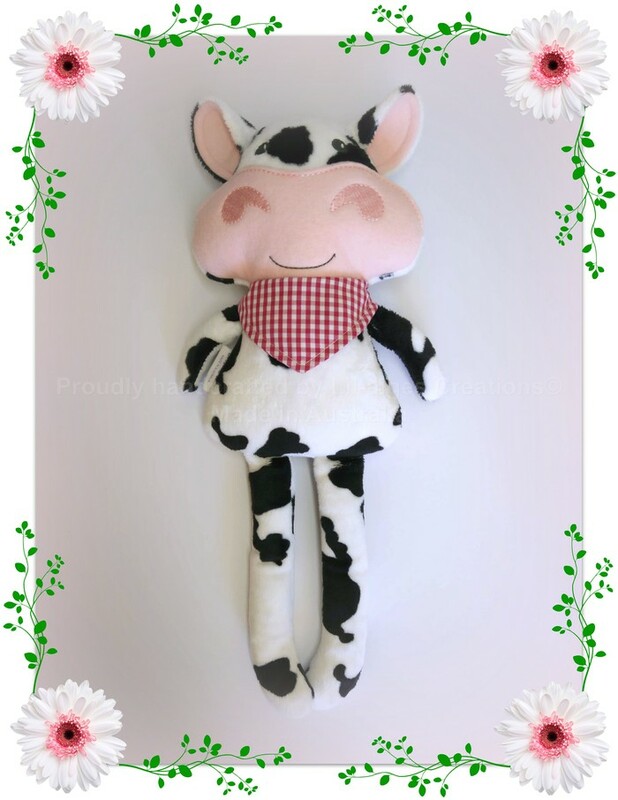 Thank you and I am sure you (or the recipient) will enjoy this lil cow plush toy/ doll as much as I have enjoyed creating it.